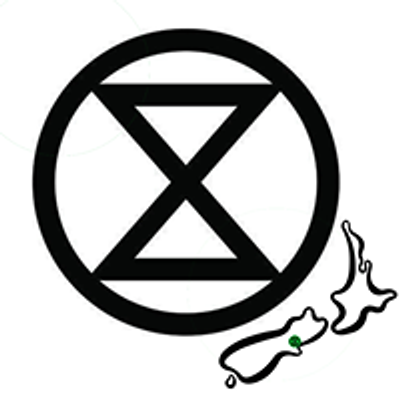 In the middle of April, the global weeks of rebellion begins in Aotearoa. 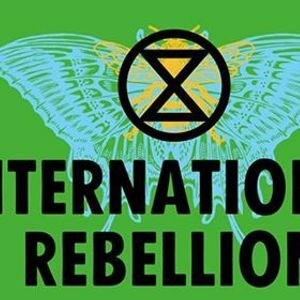 Extinction Rebellion is calling for a full-scale uprising of courageous action for the climate and ecological emergencies we face. Join us as we engage in acts of non-violent civil disobedience against regional councils and governments all around the world. We're asking all rebels from Te Waipounamu to come and take part in our action at Environment Canterbury (ECan) on Tuesday the 16th April. You are formally invited to join us at 12pm outside ECan to present our performance review. We invite all stakeholders including rivers, birds, plants, animals and members of the human species to attend to assess ECan’s performance as stewards of the Waitaha/Canterbury environment. During the review there will be opportunity to speak our grievances with ECan, honour our grief for the losses we are experiencing through climate and ecological collapse, suggest improvements and make personal commitments to bring back health to our natural world. Bring an object symbolising your grievance or love for the earth to be placed on a centrepiece: be it a leaf, a painting, a rock, a vial of polluted river water. Please bring your family, friends and neighbours out to support our voices. This event is open to all and is children friendly. Come along to our Non-Violent Direct Action training workshop on the 10th of April ( https://www.facebook.com/events/415586472321089/) to practice fun techniques for peaceful disruption, get informed about legal implications for civil disruption, learn about NVDA strategy, meet other rebels and get a feel for what kind of role would suit you on the day. If you can’t get to a training, connect with us at Y2hyaXN0Y2h1cmNoIHwgZXh0aW5jdGlvbnJlYmVsbGlvbiAhIG56 or come to the next XR heartbeat on the 12th of April at 7:30pm at the WEA on Gloucester St. If you just show up on the day don’t worry, there’ll still be a role for you. Which species do you regret the loss of or fear for the extinction of? Are there places, landscapes, parts of the world you wish to be protected from destruction and degradation? Are there people, here or elsewhere in the world, for whom you mourn the impact of climate change? How has ECan failed to protect the Earth we love, and it’s inhabitants? ECan has been acting like an environmental nightmare! Since being taken over by government appointed commissioners in 2010, it has literally opened the floodgates for big irrigation, inappropriate dairy conversion and now water bottling. The resulting damage to our rivers, aquifers, biodiversity and ability to sustain life on the Canterbury plains is heart-rending. Join us on the 16th of April to remind ECan that they are accountable to the people and their role is to protect the environment. 1. Declare a climate and ecological emergency, and admit the truth to the public about the environmental crisis we are in. 2. Enact emergency measures for a carbon neutral Waitaha/Canterbury by 2025. 3. True participatory democracy to oversee the changes needed.